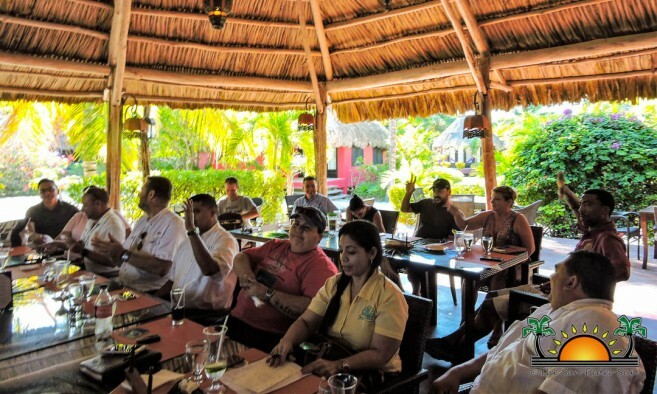 The Board of Directors for the Ambergris Caye Citizens for Sustainable Development (ACCSD) held an informative luncheon on Tuesday, November 27th for key tourism and business stakeholders on the island. 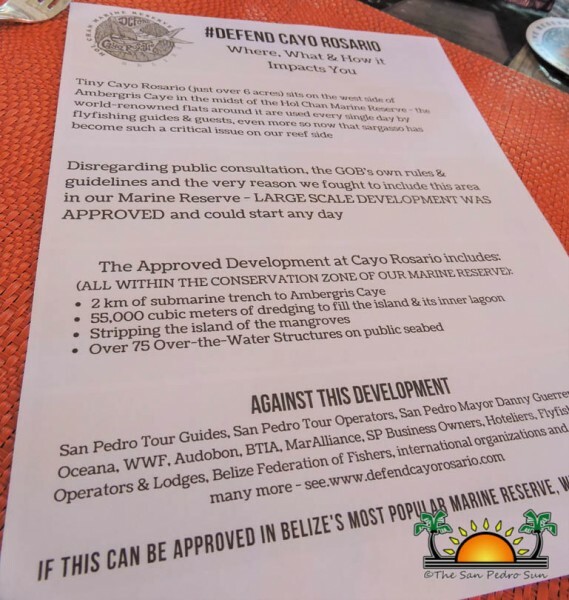 Hosted by Matachica Resort, more than a dozen individuals were updated on the progress ACCSD is making in preventing the controversial development of Cayo Rosario located within the Hol Chan Marine Reserve. First to speak was ACCSD Board member and President of the San Pedro Tour Guide Association Billy Leslie, who reviewed the history of the Hol Chan Marine Reserve and the part ACCSD played in expanding the reserve in 2015. “We saw that this area on the leeward side of the island, the shoals, the mangrove islands, and bajos were essential to the health of the Hol Chan ecosystem and an important area for the fly-fishing industry. We worked closely with other agencies on the island along with local and national government to make it happen. Our goal was to prevent unsustainable developments like the one approved for Cayo Rosario from ever happening. This sensitive area cannot support the proposed over-the-water structures, dredging, mangrove removal, and sewage system without irreparable damage,” he stated. Board member and marine biologist Miguel Alamilla was next to elaborate on the flaws in the Environmental Impact Assessment (EIA) that was contracted by the developer and problems within the entire National Environmental Appraisal Committee (NEAC) approval process. “Developers hire their own accessor to conduct their EIA, so naturally they will error on the side of the developer. 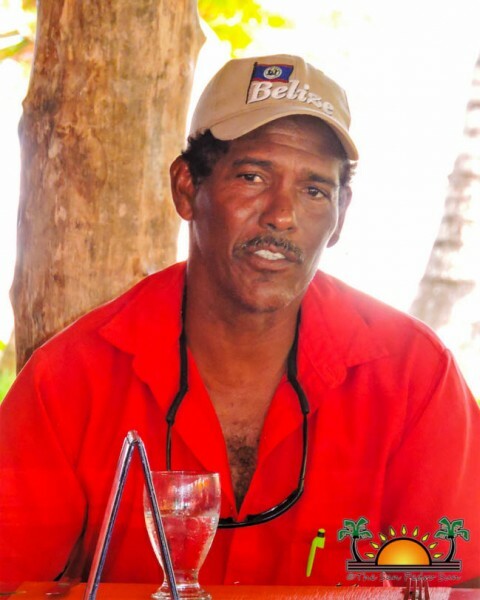 In the case of Cayo Rosario, improper methodology was used along with inaccurate observations such as no sign of fish or wildlife in the area. In approving the EIA, NEAC failed to consider several laws and regulations, such as the fact that the developer only held one of the two public hearings required, and the illegal use/development of ‘Queens Land’ to name a few,” explained Alamilla. Litigation comes with a price, and according to ACCSD Treasurer and co-chair Chis Beaumont, the organization has already paid $8k in legal fees with funding donations from Yellow Dog Flyfishing Adventures, Tres Pescado Fishing Tournament, El Pescador Lodge and other individuals, businesses and organizations. It is estimated that legal fees could exceed $30k. During the meeting, ACCSD lobbied the group for their support in challenging this detrimental development. “We hope that with this information we can count on you and your businesses to help us in future endeavors to educate the community and appeal for funding,” concluded Chairwoman Arceo. With an enthusiastic show of hands, all attendees agreed to join the important cause. The Cayo Rosario development was approved by NEAC in July 2018, and calls for 54 over-the-water structures, 50 more partially over-the-water and land structures, two kilometers of submarine sewage trench and the dredging of 55,000 cubic meters of sand for land creation from within the extension of the Hol Chan Marine Reserve. The mangrove caye is just over six acres in size. Organizations that have joined ACCSD in opposition to the project include the San Pedro Tour Guide Association, San Pedro Tour Operator Association, San Pedro Mayor Daniel Guerrero, OCEANA Belize, World Wildlife Fund, Belize Tourism Industry, MarAlliance, San Pedro Businesses Association, Hoteliers, Flyfishing Operators and Lodges, Belize Federation of Fishers, international organizations and many more.